The Australian Government committed $840 million towards a program of freight rail upgrades between Sydney and Newcastle which was delivered at a final cost of $932.51 million. 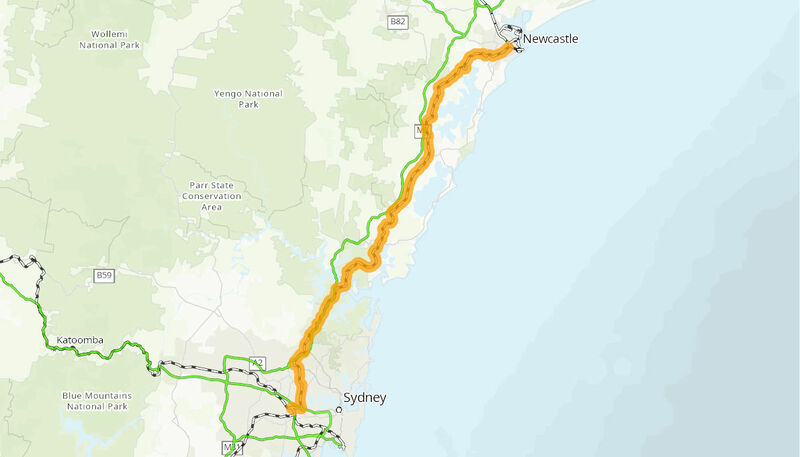 The scope of these works was determined by the Government funded Northern Sydney Rail Freight Corridor - Scoping Phase which identified four projects that would make up Stage 1 of the Northern Sydney Freight Corridor Program. The four projects are the North Strathfield Rail Underpass, Gosford Passing Loops, Epping to Thornleigh Third Track and Hexham Freight Loop. Upgrading the Northern Sydney Freight Corridor improved rail freight services and provided flow-on benefits for passenger services using these lines. Separating passenger and freight trains onto different lines and making provision for fast trains to overtake slow moving ones reduces fuel use and greenhouse gas emissions. The Australian Government provided $840 million towards this program with the NSW Government funding the remaining $92.51 million cost of delivering the program. The $37.17 million for this project provided overarching programme support for the project as a whole. The Australian Government also provided $21.92 million to the Australian Rail Track Corporation under the Northern Sydney Freight Corridor program to undertake the Hexham Freight Loop Project. Construction of the Hexham Freight Loop commenced in September 2011 and was completed in June 2012. Construction of the North Strathfield Rail Underpass commenced in October 2012 and was completed in June 2015. Construction of the Gosford Passing Loops commenced in May 2013 and was completed in April 2015. Construction of the Epping to Thornleigh Third Track commenced in June 2013 and was completed in June 2016.